Sometimes the internet users may need to change the IP address due to many reasons. The best and easy way to do this by using a VPN. Nowadays, most of the VPN servers are premium and demanding costly packages for most of the countries. So, if you rarely use the VPN services then there are some VPN providers who provide limited but free services. Whatever device you are using (Android, MAC or Windows), you can download & use these VPNs to hide your IP address for free, changing it to other countries. If a website is blocked in your country, there are many methods available to unblock a restricted website. Changing an IP address gives you the advantages to protect your privacy. If you are browsing the internet then you are definitely leaving your footprint on those servers. Thus, they can track you by your records and these records and footprints actually come from nothing but an IP address. Also, the hackers can attack any computers with IP addresses if not protected. That is why the Ip address actually needs to be very secure. You might ask if there is any way to bypass this private IP! Taking all methods in one article, either on mobile or PC, you can easily change your IP address if you follow any of these methods. To make it simple and easy to remember, we called the methods as 'ZTSSP'. ZTSSP contains a list of VPNs to change IP address on any devices. *Note: ZTSSP is not a software but it has a complete list of all VPNs which can be used either in PC(Windows, MAC) or Mobile(Android, iPhone) to hide IP address. 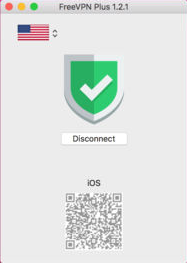 ZTSSP list contains ZenMate VPN, Touch VPN, Snap VPN and Spotflux VPN. There are millions of internet users around the world and they are able to connect to the internet at any time anywhere. We know it very well that every internet user has a unique IP address, this is the major issue since you have a unique identity in this global connected network. That is why to bypass an identity, it becomes mandatory to change your IP address to visit some particular websites. Before discussing the methods to change your IP address, you should know what an IP address is. Full form of IP Address is Internet Protocol Address. IP Address is basically a 32-bit numerical system which has been assigned to every device to communicate around the world. Basically, an IP Address is written in this format: 223.29.193.182. It is also known as IPv4 or you can say Internet Protocol Version 4 which is being used nowadays but a new version IPv6 is launched recently to help internet users. It is a 128 bits number system. An IP Address basically serves two types of function. One is network identification and another is location addressing. Is it legal to change IP address? A: Yes, it is legal if you change IP address. It is always recommended to change your IP address very often to protect your privacy. Now, we already know some basics about IP Address but the question is why you need to hide your IP Address. 1. If you wish to create more than one account on a site, then it impossible for some sites without changing your IP Address. 2. Suppose you have got a website which is banned based on IP Address. Then if you want to access that site, without changing your IP you cannot access. 3. If you want to be free from cyber attacks you have to change your IP Address. These above-given lines are not the only reasons, there are many various other reasons to do that. So after knowing almost everything about IP address you should understand one thing that never changes your IP address permanently. If you wish to change your IP address then read the remaining part of this article with attention because now we are going to discuss how you can easily change IP Address. So, for your better experience, we will share different methods to change IP address. Any internet users can change their IP address by using VPN or Proxy server. It is one of the simplest methods I have ever seen. 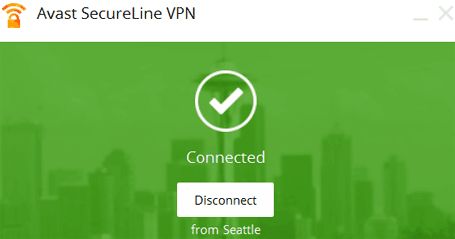 VPN is a virtual private network which creates a secure tunnel between your computer and the website. Whenever you connect with VPN, your communication will start travelling through a secured tunnel. By using VPN, your IP address which is your online identity will be anonymized. At first, open your Chrome browser >>Settings >> Click on extensions. After installing the ZenMate extension for your browser you can see the icon of the ZenMate extension appearing in the top right corner of your Google Chrome browser. Click on the icon. Then select any country to change your IP address. Note: Remember one thing when your VPN is ON, your IP will be changed. Otherwise, it would not work. At first, open your Mozilla Firefox browser. 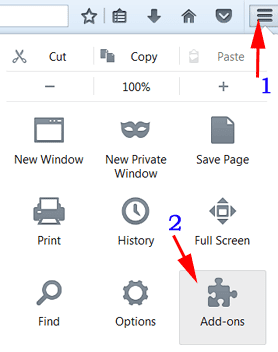 Go to browser’s open menu option >> Click on Add-ons option >> Click on an extension. (Search ZenMate VPN on Mozilla and install ZenMate VPN extension). It will ask for a restart. Then just click on the restart option. After this here will appear a new tab, where you have to Sign Up with your email-id and start your FREE Trials. Fill up the required information and Sign Up. 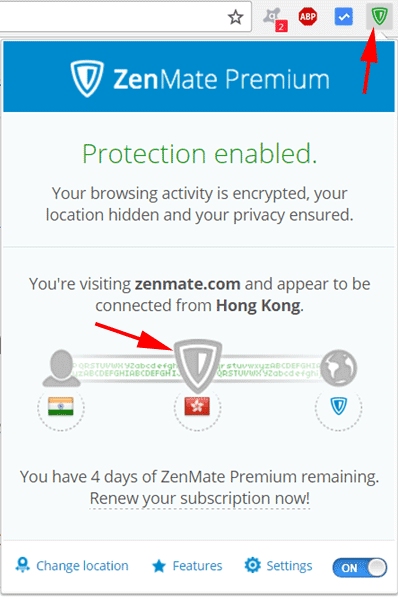 After this, whenever you want to change your device’s IP address just click on ZenMate extension icon and select any country. Then refresh the window to get your IP address changed. 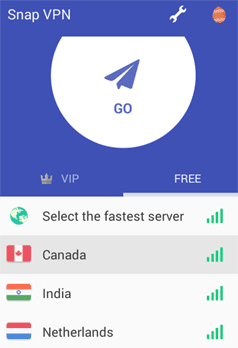 Another great and Sing Up free option is Touch VPN extension as a proxy server to change your IP address. It is one of the best and absolutely cost-free extensions for chrome browser. At first, open your Chrome Browser and then go to settings then Click on extensions. After that, you will get more extension at the bottom of the page and click on it. Now search Touch VPN. 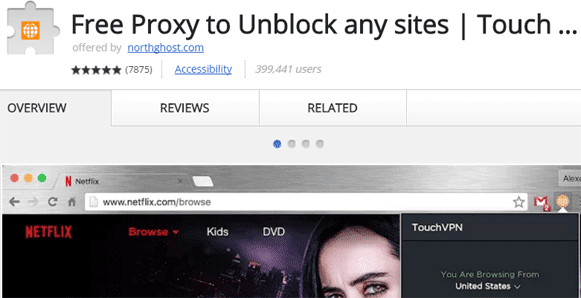 Then install Touch VPN extension to your Google Chrome browser. After installing the Touch VPN extension for your browser you can see the icon of the Touch VPN extension. It will appear in the top right-hand corner of your chrome browser. 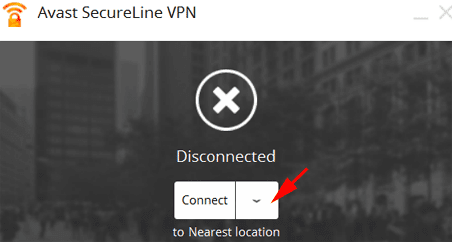 Now, whenever you want to change your IP address simply click on the Touch VPN icon. After this, there will appear a new popup and Then click on connect option. After this, you will be automatically connected to the proxy server. Then click select automatically, after clicking, a list will appear where you will find names of different countries. Just select anyone you wish and click on connect option. After that, your IP address will automatically convert to another one and you will able to do whatever you want to do after changing your IP address. Avast SecureLine application is very secure Virtual Private Network which is developed by Avast Software. This application is available for Android Smartphones, Windows XP, Windows 7 and MAC. Now we will discuss the different ways by which you can also change your IP address. At first, download Avast SecureLine software and then install it perfectly. After installing the application, RUN it. Then click on the arrow button which is present beside the Connect option. Then select any country whatever you want and click on connect button. Now it is done. 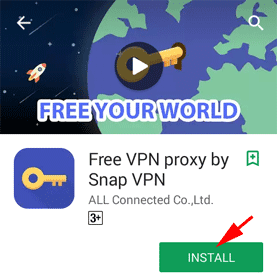 How to Change IP Address on Android Phone with Snap VPN? At first open Android play store and search Snap VPN. After that install the app. Once you have completed installing this app, open it. Then just select any country server, it will take few seconds to complete the process. After few seconds you will see your proxy server changed to your selected country. Now you will be able to see different IP address for your mobile device. For MAC users there are many VPNs in the list. But, the free one you can get from MAC App Store. The VPN is FreeVPN Plus. At first, download FreeVPN Plus. You will be able to get it from MAC store. Just download it in your MacBook. 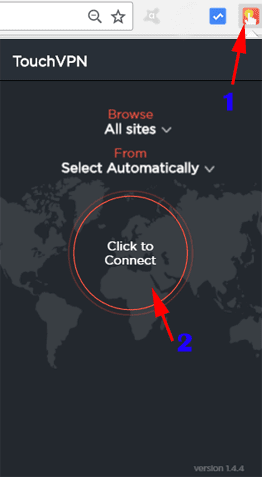 Once you complete, you can choose any country from that VPN to access the internet. So this is how you can change IP address for any devices. But, you should know that by using a VPN you are in an encrypted connection which is non-trackable.